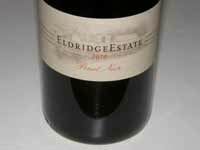 Eldridge Estate is located 90 minutes south of Melbourne on the Mornington Peninsula. The estate is owned by David and Lloyd who produces hand-crafted Pinot Noir Chardonnay, Gamay and Sauvignon Blanc from the estate vineyard. David's spouse, Wendy, was a founding owner as well and regrettably passed away in 2014. David has 7 acres under vines, all with superb views of the valley and hills behind the vineyard and winery. 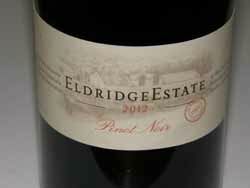 The vineyard has an altitude of 225 meters at a Latitude 38 22' 16" and Longitude 145 1' 11". In altitude and climate, the site is similar to Burgundy in France. The soil is a rich volcanic loam on a north facing slope that drops 45 meters from the top, near Arthurs Seat Road, to the spring-fed dam at the bottom of row 1 (160 meters long). It is protected from harsh winds by natural land forms which result in a long, cool, ripening period. The soils are volcanic loam from the Ordovician era, or about 200 Million years before present time. This means that the combination of ancient landforms and soil have combined to produce a truly unique set of conditions that make our vineyard special. The vines have been trained into what is known as the Scott Henry system of canopy management to provide the best possible flavor development. 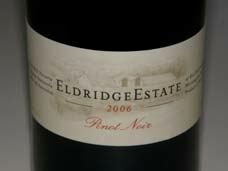 Pinot Noir is the star here and is produced in a very appealing elegant style modeled after the wines of Chambolle-Musigny. The wines are sold primarily through the cellar door.